Take a virtual vacation to space! 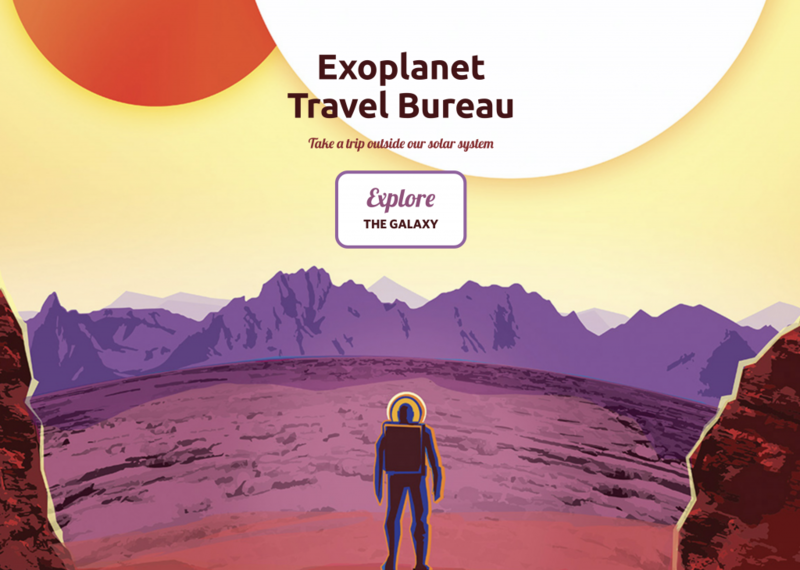 Not all of us have a planned vacation this summer, but NASA has a way we can all enjoy an exotic destination from home: the Exoplanet Travel Bureau. This new interactive site lets you explore the galaxy by visiting breathtaking depictions of what exoplanets might look like. No travel insurance or packing required? Count us in! NASA photographer Bill Ingalls mourned the loss of his remote camera on last week’s SpaceX Falcon 9 launch. The camera happened to get caught in the middle of a brush fire, and the result was a well-done lens with extra crispy edges. Though we don’t recommend barbequing your cameras anytime soon, we do highly recommend catching a rocket launch this summer if you get the chance. Just try to avoid baking anything that’s not on the lunch menu. Bill Gates has a great habit or reviewing and recommending books on his blog, and Quartz decided to compile all of those books and organize them by topic. So if you’re looking for something to read on technology, math and science thinking, education, and so much more, click the link above to see what Bill has been reading!